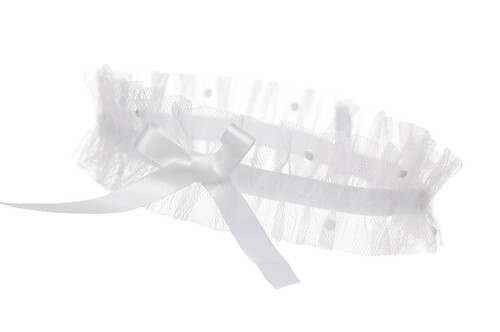 An elegant wedding garter design made from beautifully soft tulle and highlighted with a hand tied satin bow. Perfectly detailed with Swarovski pearls. This garter is a sophisticated bridal piece.